IBS is incredibly common – about 1 in 10 people are given the label – but really IBS is just that, not a diagnosis as such but a mere label for a cluster of symptoms that might be caused by any one of a range of things. Food intolerances, disordered balance of microbes in the gut, or microbes tracking their way from the large gut to the small gut, or overactivity of the nerves of the gut can all cause the symptoms of IBS. So many patients are left with IBS as a lifelong diagnosis simply because no tests are being done and so the correct treatment Is not being offered. If you suffer from IBS, the following tests are important. Small intestinal bacterial overgrowth (SIBO) has been shown to be linked very closely with IBS: the prevalence of SIBO in patients fulfilling diagnostic criteria for irritable bowel syndrome has been found to be 30%-85%!! Moreover patients with successful eradication of SIBO had statistically significant improvement in abdominal pain and diarrhoea, and a double-blinded randomized controlled trial substantiates that treatment of SIBO with antibiotics in IBS patients led to a significant reduction of IBS symptoms . 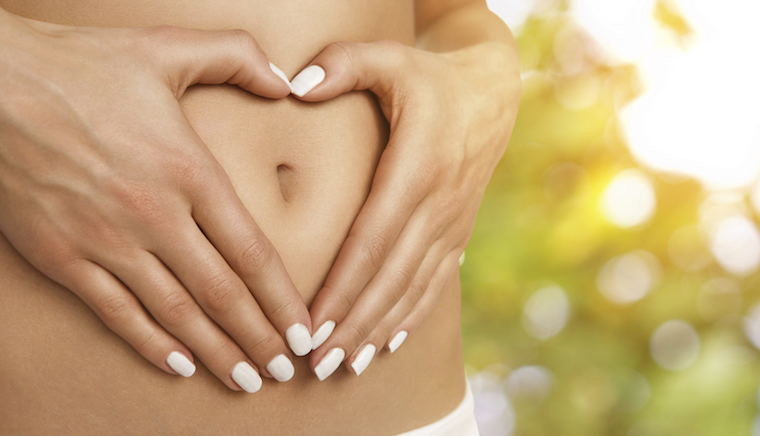 SIBO occurs when bacteria expand from the colon back into the small intestine, and can occur as a result of low stomach acid, lack of digestive enzymes, immunodeficiency syndromes, anatomical or motility disorders. Bacteria or yeast existing in the upper gut means that foods are fermented there instead of being digested, and in turn produce products which have to be detoxified by the liver. Small intestinal bacterial overgrowth can cause malabsorption, allergies, wind, gas and bloating, bad breath, dental problems and foggy thinking. People suffering from SIBO may find that things they think are good for them such as fibre or fermented foods (which can be high in histamine) actually worsen their symptoms, or that they get more bloating when taking prebiotics (or probiotics containing prebiotics). The test for SIBO involves fasting overnight, then drinking 10gm of lactulose syrup. Breath samples are collected for the next three hours. Prompt treatment of small intestinal bacterial overgrowth with antibiotics or antimicrobial herbs, change in diet (e.g. low FODMAP, which stands for fermentable oligosaccharides, disaccharides, monosaccharides and polyols diet and alcohol avoidance) can resolve all the symptoms of gut fermentation. Many patients with IBS also have abnormal intestinal permeability, which is probably due to low-grade inflammation in the intestinal mucosa. The crucial position of the gut in many diseases is testified by the huge amount of immune cells that reside within it and the fact that gut-associated lymphoid tissue (GALT) represents almost 70% of the entire immune system. Increased intestinal permeability, or a "leaky gut" usually manifests with systemic complaints that affect the immune system such as food intolerances, increased allergies, fatigue, gas, bloating, diarrhoea or irritable bowel syndrome (IBS), mood and skin disorders. So what happens? Essentially, the gut lining should act like a sieve, letting smaller molecules pass through and keeping larger molecules out. Leaky gut means large food particles get absorbed into the blood stream which triggers the immune system causing inflammation. A gut permeability test can determine if you have leaky gut: this test can be done at home, and involves taking a 3g dose of polyethylene glycol and then collecting urine for 6 hours after. Intestinal permeability can be healed with supplements such as L-glutamine and slippery elm and should result in symptom improvement.